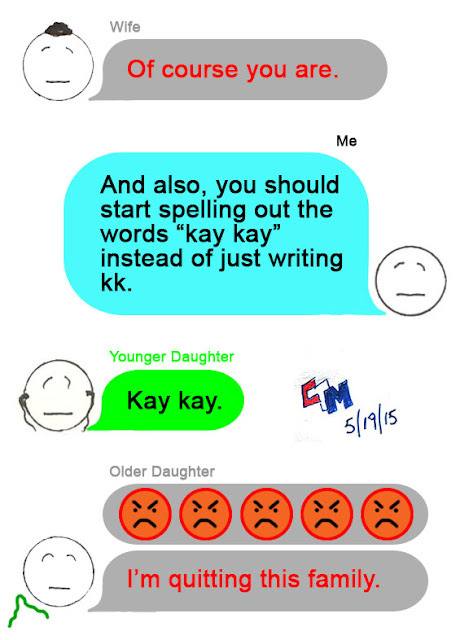 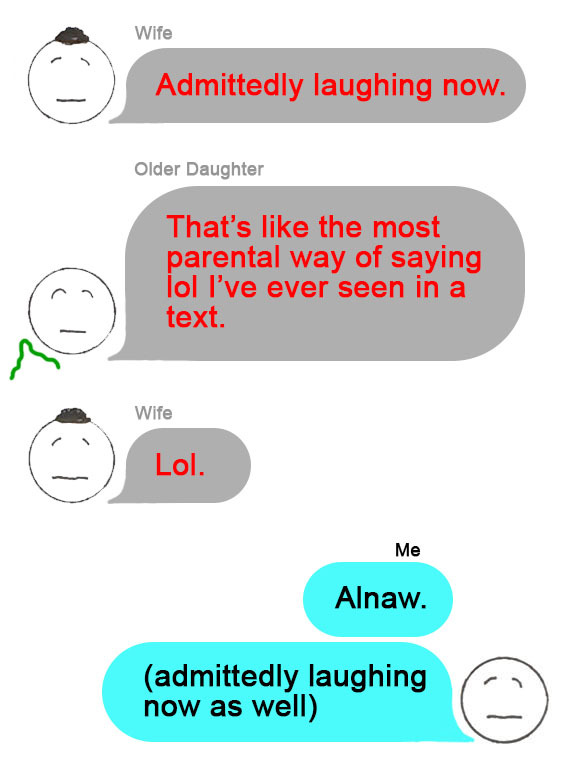 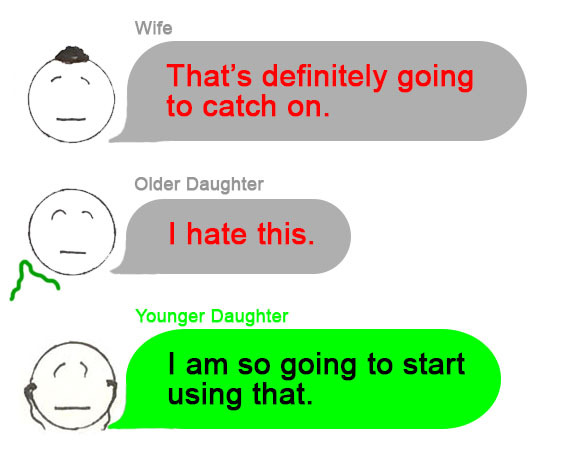 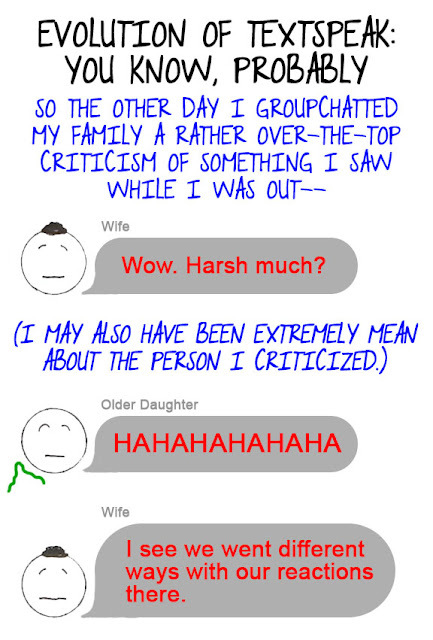 Incidentally, Younger Daughter also owns and communicates using an iPhone, so her texts come through in gray speech bubbles as well, but I wanted to put more color in here, which is why her stuff is in green. Just in case you thought we were playing technological favorites with our children. 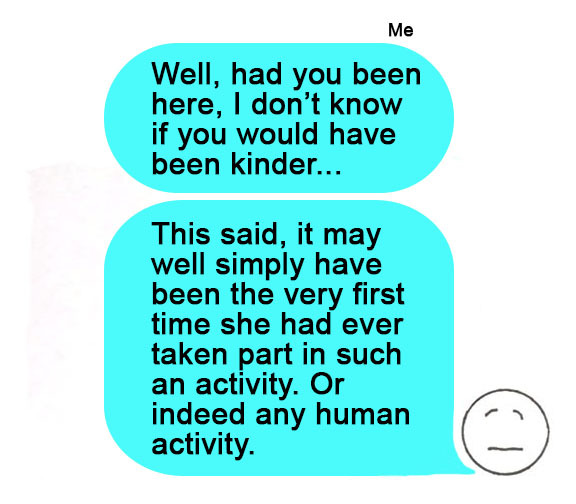 We weren't.